BISMARCK, N.D. (AP) — Republican North Dakota Gov. Doug Burgum has signed a bill that requires abortion providers to tell women undergoing drug-induced abortions that it’s possible they could still have a live birth if they change their mind.Opponents claim there is no medically accepted evidence that a drug-induced abortion can be interrupted. Lawmakers approved the “abortion reversal” legislation last week. Burgum signed the bill on Friday. 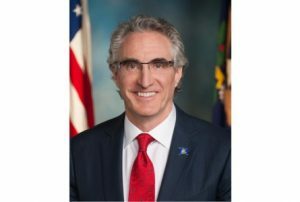 Burgum’s approval of the bill was the first time in six years North Dakota has approved such legislation, after several anti-abortion laws were struck down in the courts and two of its most vocal anti-abortion lawmakers were ousted by voters.